Eggs are such a valuable commodity in recipe applications. They play a vital role in cakes, pies, pastry cream & cookies by providing structure & stability. In savory applications, eggs step in as a binder for casseroles, a main course in frittatas & quiche as well as a lagniappe to southern favorites such as chicken & potato salad offering a richness that helps stretch these party-perfect classics to feed a crowd. The egg alone can also serve as one of our very favorite barbecue side dishes, the coveted deviled egg. And don’t forget breakfast fare. From pancakes to waffles or simply a couple of protein packed sunny side up beauties on the plate, we rely on eggs to help us off to a great start at the top of a new day. You can indulge in this humble little staple anytime & be quite satisfied. Time & time again, eggs have proven their versatility to be absolutely priceless in the kitchen. When recipes call for separated eggs– just the yolks or the egg whites– keep in mind that it’s an elementary task when armed with a few pointers. Egg whites can bind ingredients together or they can be whipped into glorious meringues that can be baked crisp or topped over banana pudding & pie then browned quickly in the oven. When volume is desired, a room temperature egg is going to yield the best result. Allow the eggs to stand about 30 minutes before using. Many times cream of tartar is added before beginning this process which is designed to aide in lifting the whipped eggs to new heights & provided additional stability. Cream of tartar, which is potassium bitartrate in technical terms, is a byproduct from the winemaking process. You can certainly add a smidgen at the beginning of the process if you’d like to but I find it’s simply not necessary. Another point to keep in mind is that there should not be any fat present when whipping egg whites as you will not get the volume required for certain recipe applications. This includes the separating step from the egg yolk as well as the bowl & utensils used to prepare them. Quickly inspect the kitchen tools before using. Egg yolks alone add decadence to recipes. Creme anglaise in particular benefits immensely from them. When warmed with milk & cream, these beauties thicken ever so slightly on cooling without the addition of flour or cornstarch into some of the most lovely finishing dessert sauces as well as serve as the base for home churned ice cream. Pastry cream steps in as the classic foundation for many of your favorite tartlets, pies, cream puffs & chocolate eclair recipes. In layer cakes, an extra yolk or two can provide a richness like no other. Follow my tips for this easy technique & you’ll be whisking away with an arsenal of new ideas to try. 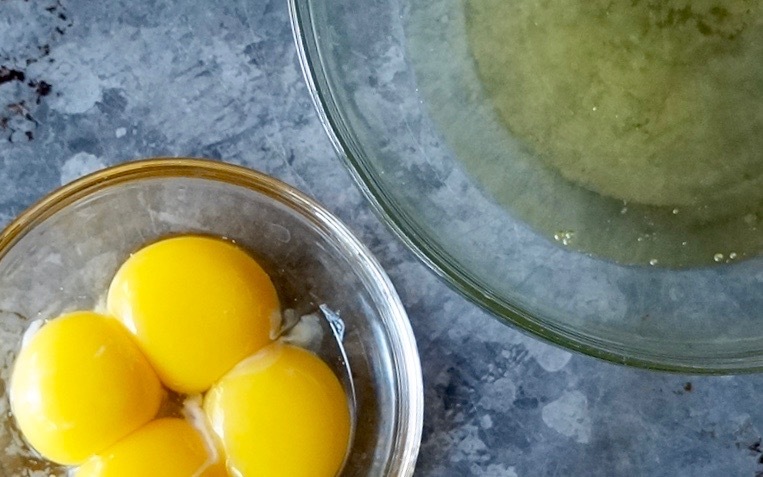 Separating the egg white from the egg yolk is a relatively simple process. 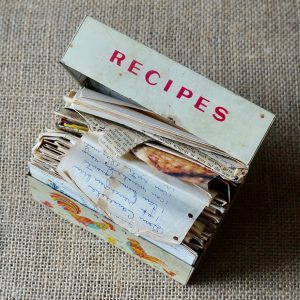 Keep a few valuable tips in mind to ensure your recipes are a success. If a small amount of the yolk gets into the egg whites, use a spoon to retrieve it. Remove as much as possible to ensure they whip to full volume. A small bit of shell may fall into the egg whites during the process. Simply remove it before proceeding with the application. 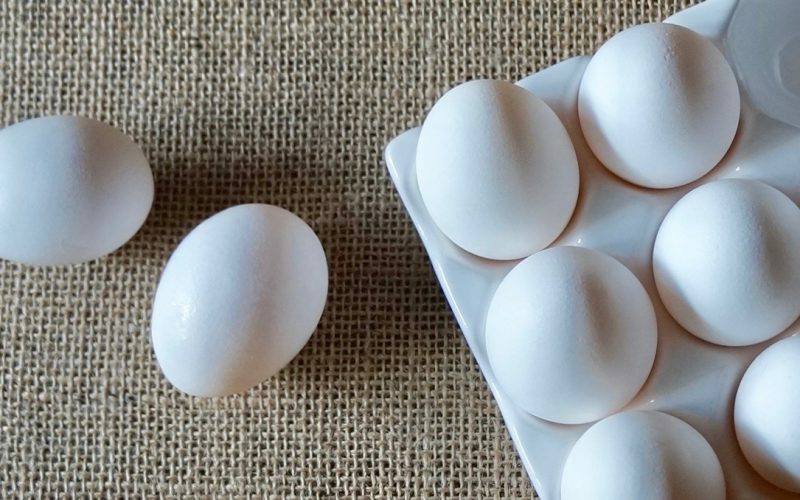 Crack the egg with purpose against the side of a small bowl. Carefully split the egg using your thumbs to pry the shell into two pieces. As you separate the two halves, quickly catch the yolk in one of the shells. Allow the egg white to fall into the bowl. Alternate the yolk from each shell half until all of the egg white collects in the bowl. Place the egg yolk in a separate bowl. Repeat the process until the desired number of eggs have been separated.